Hi everyone! 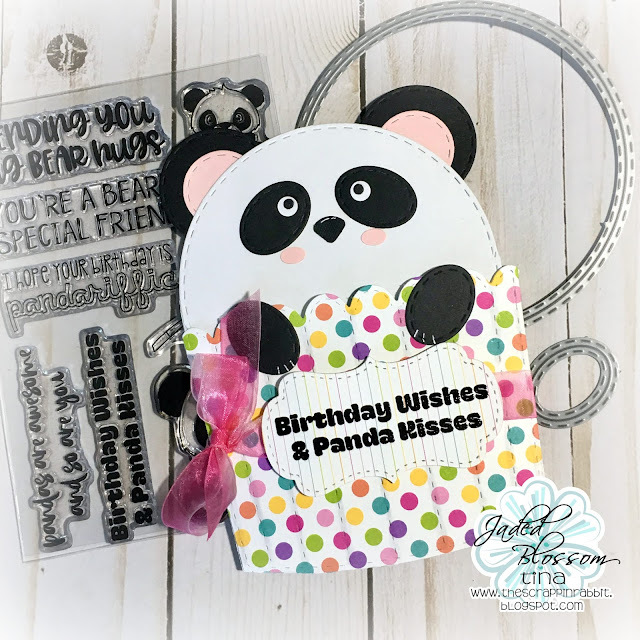 This is Tina from The Scrappin Rabbit blog and I have a fun Panda project to share with you today. Using the Cupcake Slider Die I used partial diecutting to cut out the card base with the Stitched Circle Dies. I also cut out circles for the ears. For the eyes and paws I used the Stitched Oval Dies. I used punches for the fine details: An oval hole punch for the cheeks, a paw shaped punch for the nose, and round hole punches for the eyes. I stamped and embossed the sentiments from the Pandas Are Awesome stamps. I used the Label Shape Dies for the front. 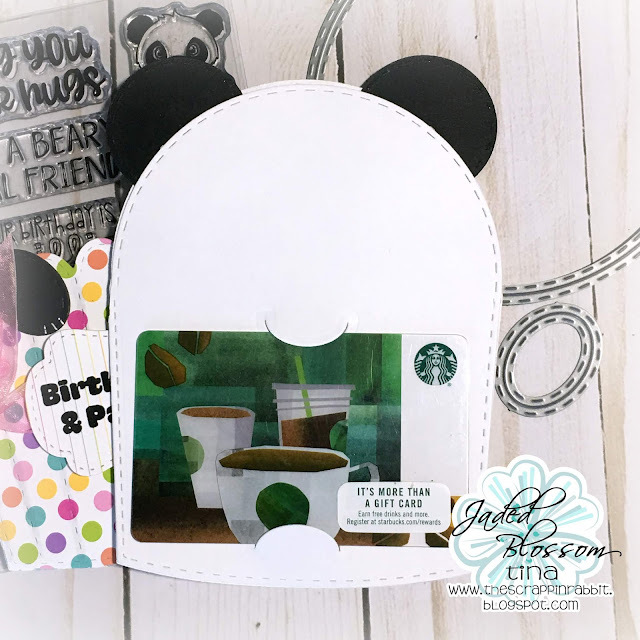 Finally I added a back panel for the gift card. OMG OMG OMG! Pandas are my fav animal! I LOVE THIS!